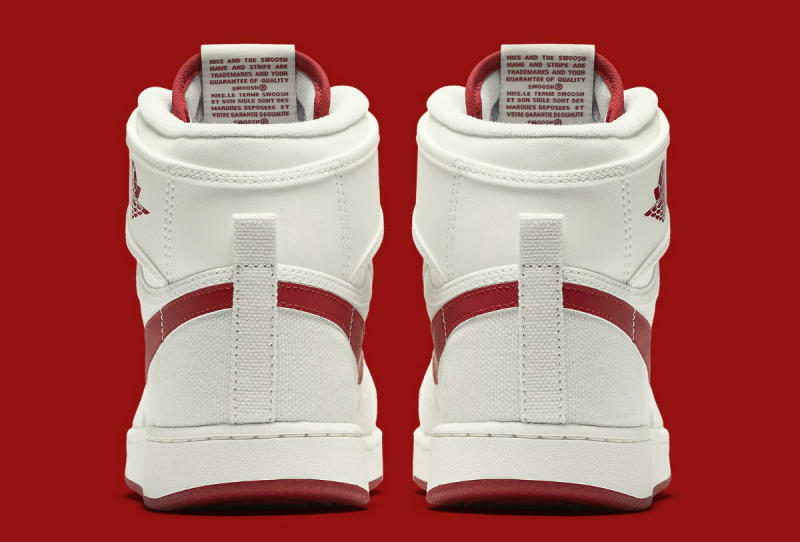 Release info for the latest KO canvas pair of MJ's first signature shoe. 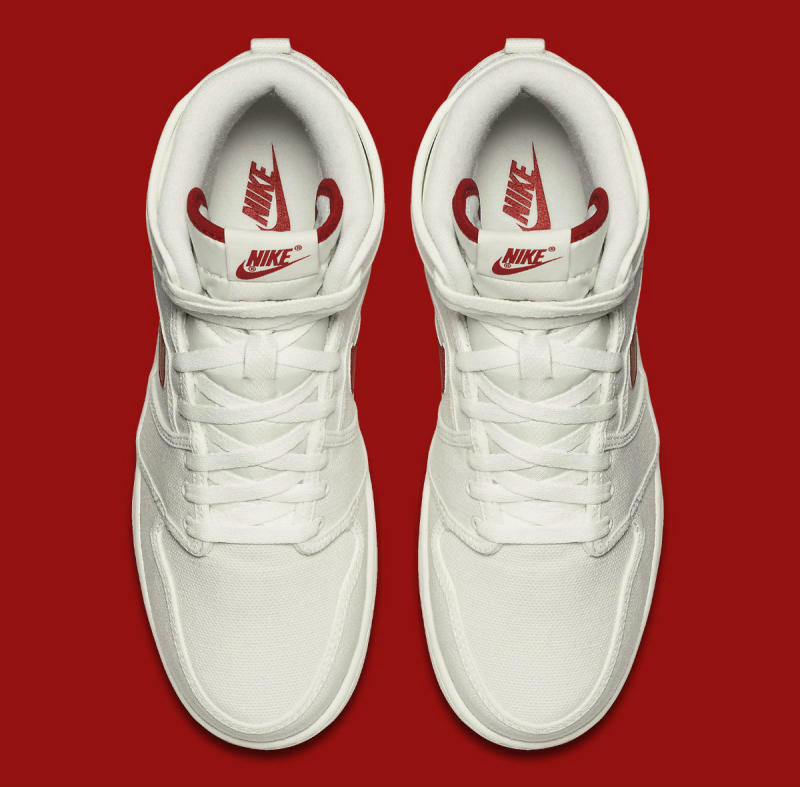 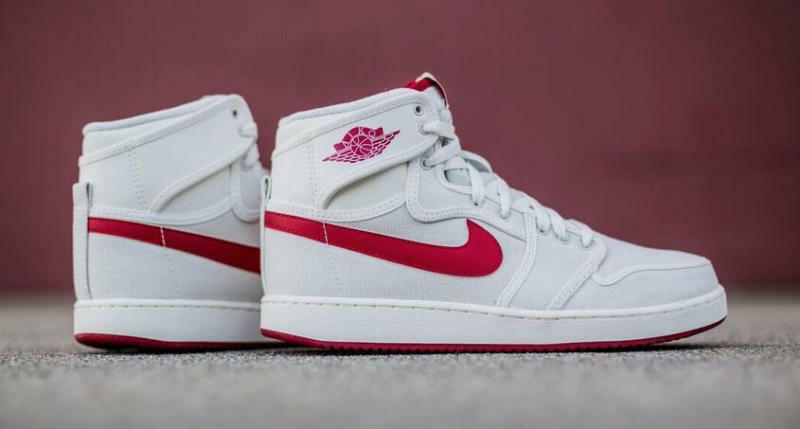 The steady stream of Air Jordan 1 KO OG styles continues with the release of this sail/varsity red pair. 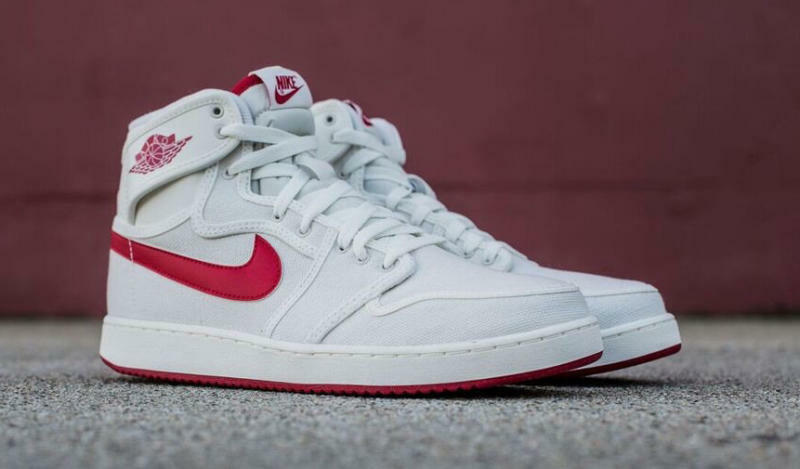 The white/red colorway last arrived in 2010, although that version of the shoe wasn't nearly as dedicated as this one to recreating the original look. 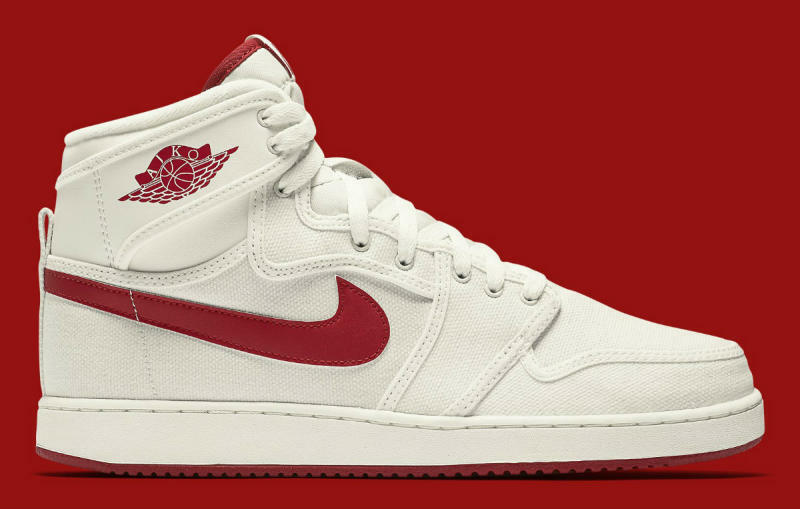 That pair wore the Jumpman branding and the standard Air Jordan 1 tooling, rather than the "Nike Air" branding and OG Vandal-like tooling on this one. 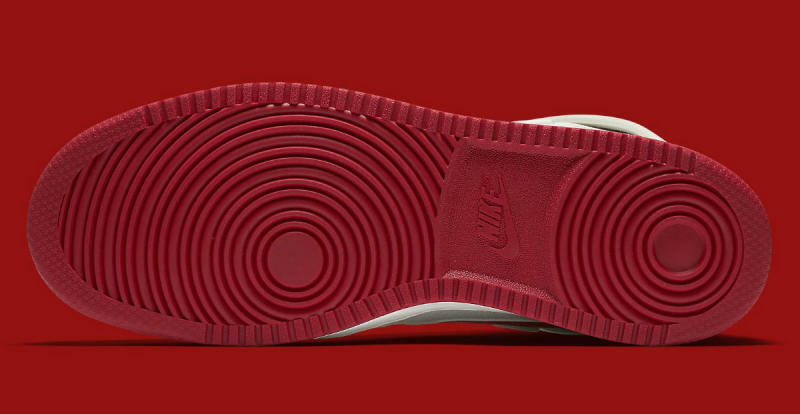 Fortunately, this year's pair also skips the faux-vintage yellowing on the midsole. 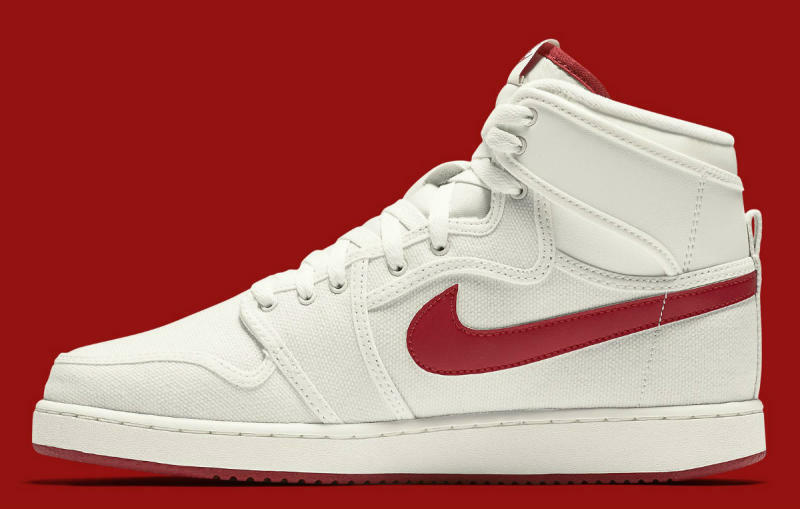 The Jordan release date on this KO design is set for March 5. 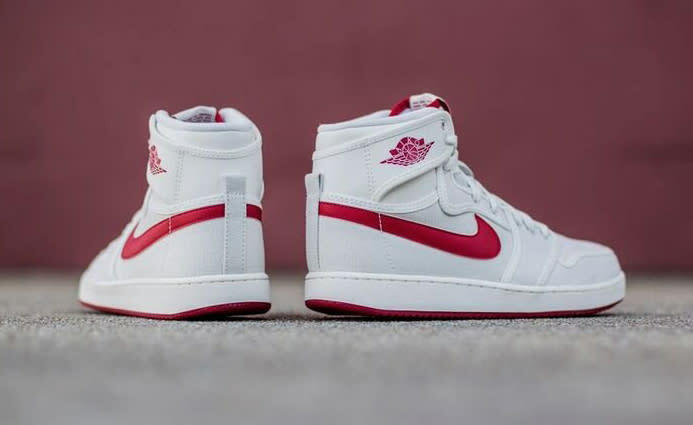 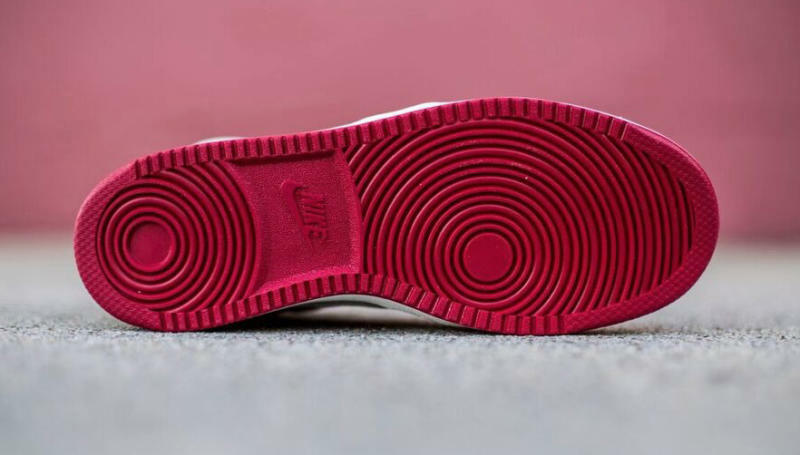 UPDATE 3/3: Official images of this weekend's Air Jordan 1 KO High release via Nike.